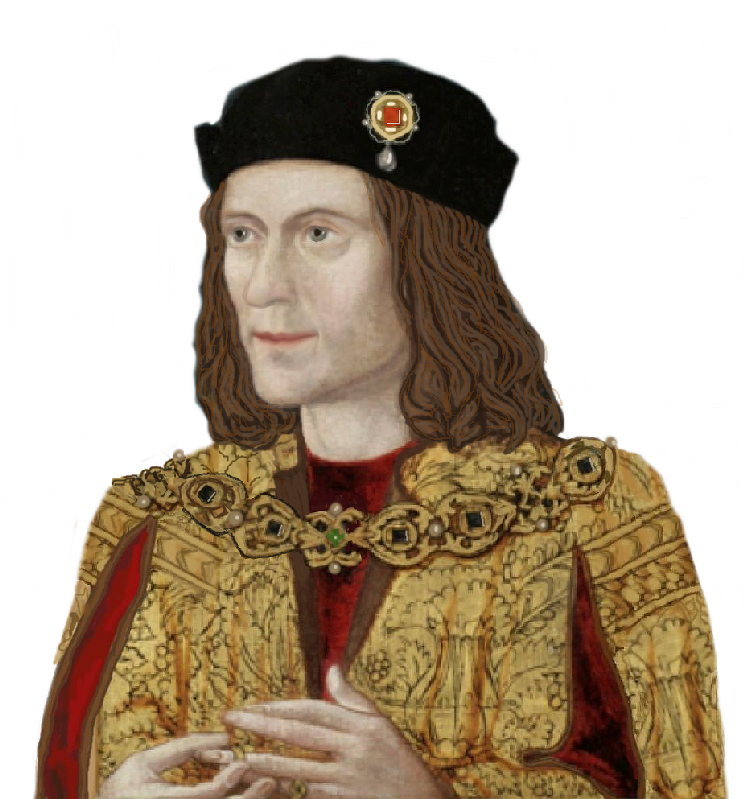 This blog suggests that the failure of Richard’s Y-chromosome to match that of the Dukes of Beaufort doesn’t make him a male line descendant of Edward III through the “illegitimacy” of Richard, Earl of Cambridge. The inconsistent chromosome has several other, more likely explanations – that Richard III’s Y-chromosome has degraded, or that false paternity in the Beaufort-Somerset line is far more probable because the latter is much longer, as we explained here. Furthermore, as pp. xii-xvi of Ashdown-Hill’s Cecily Neville explain, citing heraldic evidence, the “forked beard” portrait below, said to be of Richard Duke of York (with Cecily), as taken from Penrith church, is far more likely to be of his father-in-law Ralph Earl of Westmorland (wit h Joan Beaufort). That the portrait doesn’t resemble Edward III is unsurprising because Westmorland’s most recent known royal ancestor was Ethelred II. We have no DNA taken from Edward III to compare with Richard’s or the Beaufort family’s. Sorry to repeat ourselves, but if people repeat errors, we must do so. The precise location of the 937 battle of Burnaburh, at which Athelstan reasserted the authority of the House of Wessex over Viking, Scottish and Welsh forces has not been conclusively determined yet and nor has the anniversary, although it could not have been before Vikings crossed the Irish Sea in August. 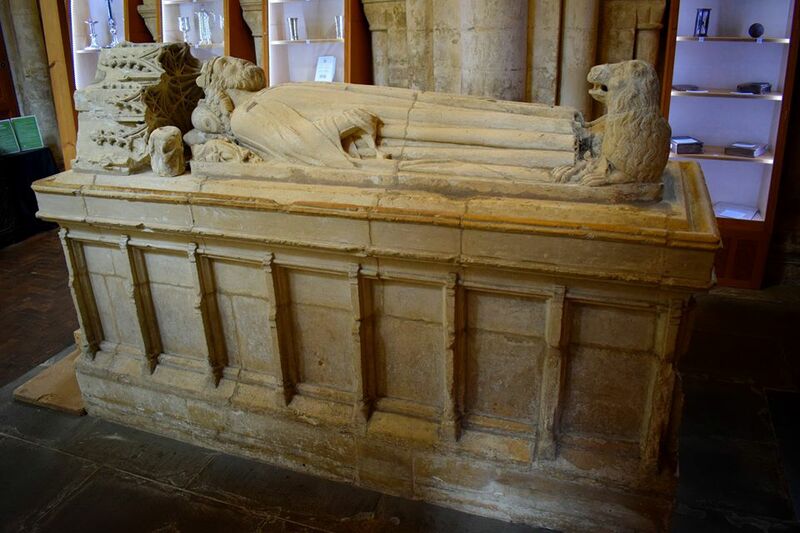 What we do know is that Athelstan succeeded his father, Edward the Elder, in 924 and died two years after the battle, unmarried, to be succeded by two half-brothers in turn. Vikings in the north of England, and occasionally the midlands, were a feature of the tenth century after the consolidation of the Heptarchy and the re-urbanisation policy that followed. We can also be certain that Brunaburh is somewhere in northern England or southern Scotland and that the battle was fierce with large numbers of casualties on both sides, although seemingly none among the commanders. Against Athelstan and the future Edmund I, Olaf III of Dublin, three kings: Constantine II of Alba (Scotland down to the Forth-Clyde line) and Owain I of Strathclyde (including Cumbria) had lined up their troops. Knowing the site of the battle would enable us to interpret its implications better. In this, we do have access to the Anglo-Saxon Chronicle as well as songs and poems in several languages. There are several modern settlements with similar names, from villages in Yorkshire – as favoured by Michael Wood – or on the Wirral to towns such as Lanchester and Burnley. Viking influence in northern and central England was to resurface several times over the next century, leading to the double deposition of one Wessex king and the death of another. If one of the more northerly suggestions is the true site of Brunaburh, it would be particularly significant that the battle of Carham, in about 1018, was to settle the eastern Anglo-Scottish border, adding the Lothians to the Scottish kingdom – until Richard III’s time.